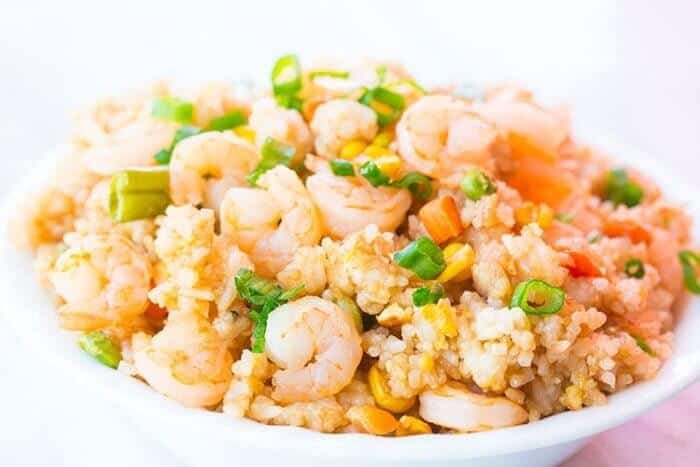 Can I tell you a secret about this Easy Shrimp Fried Rice? I have been waiting months to make it. Why, you ask? Well, because my kids are convinced that they don’t like shrimp and I had to wait for some fellow shrimp-loving company to come over so that I could make it! IF your family isn’t like mine! Where did I go wrong with those two? I have loved shrimp my entire life, for as long a I can remember eating food. And before you say it, yes, they have tried shrimp. They tried this rice again just for me because I was convinced that they would like the shrimp with all the wonderful flavours that you get in this fried rice recipe. It was another hard no from both of them.The only shrimp that my son likes are coconut shrimp – and man, who doesn’t! If you are a shrimp lover then you have to try my Shrimp Surprise Spread – you will love it! 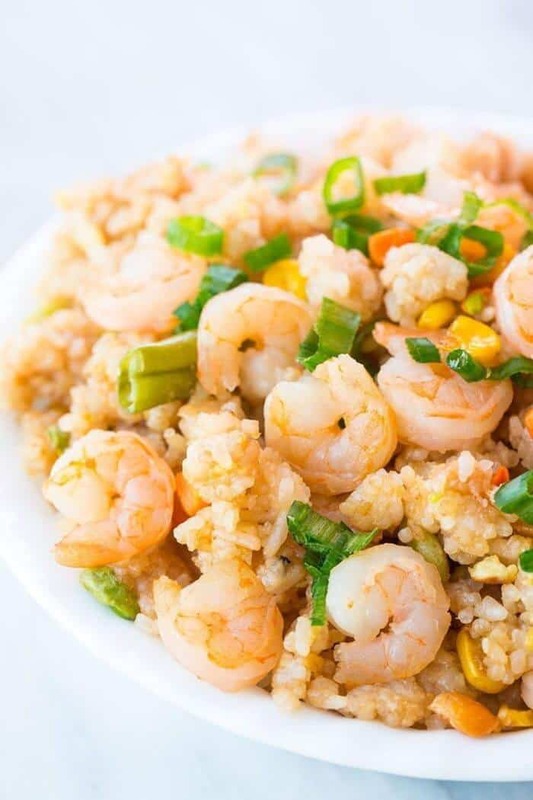 Shrimp fried rice is fast, easy and healthy to make! Here’s how to make it in no time. minutes. Remove from the skillet and place in a bowl to the side. minutes. Add in the rice and fry until the rice starts to crisp up slightly. vegetables and fry for another 3-4 minutes until everything is heated through. evenly. Fry some more, coating the rice evenly with the mixture. Serve topped with green onion if desired. What kind of shrimp do I use in shrimp fried rice? You can use whatever type of shrimp your little heart desires. If you use precooked shrimp then you only have to heat them up in the oil and garlic – but don’t skip the garlic! You can use large or small shrimp, whatever shrimp you use make sure that they are well cleaned. What if I don’t like shrimp? What can I use in my fried rice instead? The sky is the limit! Try my Easy Fried Rice Recipe that has a video in it to show you how to make basic fried rice. Then you can choose a protein : chicken, bacon, pork, whatever you like. You can also keep it just vegetables if you prefer. You can use shrimp that are as big as you want. Don’t let the size of my shrimp stop you. Cook your shrimp the way that you want it. I have a friend that can’t eat shrimp that are cooked for 3-4 minutes. She will request shrimp cooked to heck and back when we go to restaurants. I also like them well cooked. The vegetables are easy to switch around. You can fry up a diced fresh white onion at the very beginning in the sesame oil if you like as well. Adjust the sauces to your liking. I like a LOT of oyster sauce, it’s my favorite part! Use OLD rice! Let it dry out a bit in the fridge overnight, it’s always too gluey if you use it the same day. Happy cooking everyone! 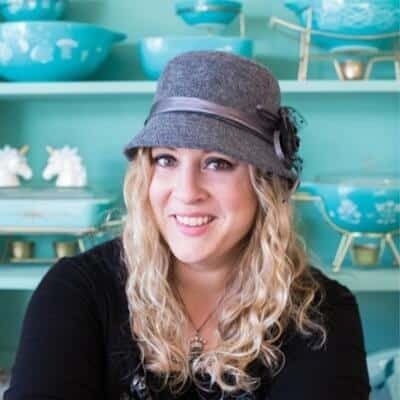 Let me know in the comments below if you have tried the recipe! 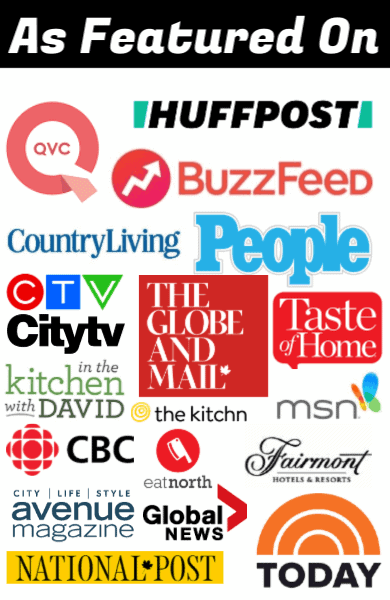 Pin This To Your Supper Ideas Board and REMEMBER TO FOLLOW ME ON PINTEREST! 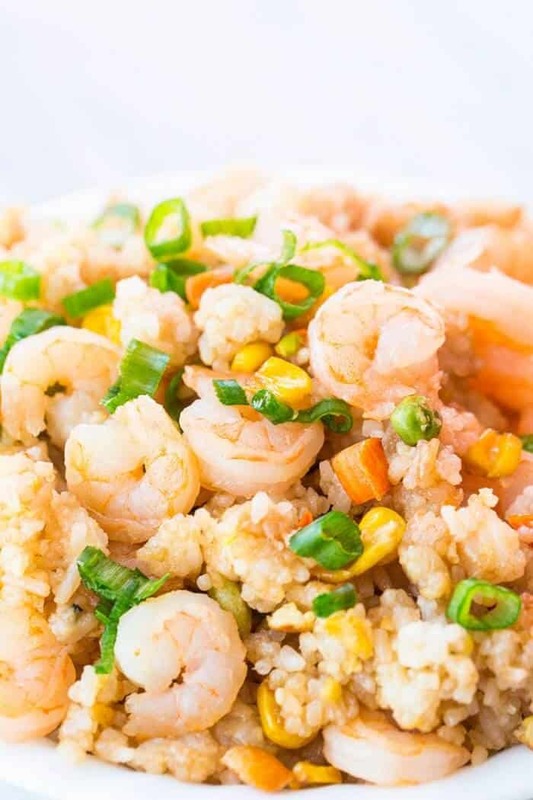 This easy shrimp fried rice is sure to be a hit with the whole family! You can add in some chicken or pork as well if desired - I tend to double the shrimp! Heat the olive oil in a very large skillet or wok over medium high heat. Add the shrimp and garlic paste, and cook, stirring occasionally, until pink, about 3-4 minutes. Remove from the skillet and place in a bowl to the side. Add the sesame oil to the skillet and heat. Add in the garlic and saute for 2 minutes. Add in the rice and fry until the rice starts to crisp up slightly. Move the rice to one side and add in the beaten eggs. Scramble cook in the skillet until cooked and then mix into the rice. Add in the shrimp and the thawed vegetables and fry for another 3-4 minutes until everything is heated through. Combine the soy sauce and oyster sauce, then drizzle over everything in the skillet evenly. Fry some more, coating the rice evenly with the mixture. Serve topped with green onion. You can sub in vegetables of your choice, or use chicken instead of shrimp. Fried rice is a great way to use up leftovers.